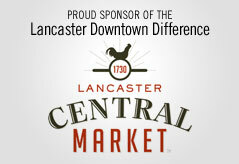 Lancaster in late April is the place to be for up-and-coming musicians and music lovers alike! The 4th annual LAUNCH Music Conference and Festival is slated for Thursday, April 26 through Sunday April 29 at the Lancaster County Convention Center. By day, the conference portion of the event will take place. There will be panels, discussions, workshops and seminars on Friday and Saturday. These events range in topic from how to get signed to legal matters in music. There will also be a trade show from 10:30 AM to 4:30 PM on both Friday and Saturday. The trade show is free and open to the public. Admission is free with VIP Badge, $5 with LAUNCH Badge or Weekend Wristband, $13 in advance, and $15 on the day of the show. For the full conference and festival schedule, click here. The site allows you connect with Facebook and other social networking sites to create your own personal schedule that you can share with friends. There's also a mobile app for iPhone, Android and Blackberry smart phones that lets you carry the schedule with you electronically! For more information about the conference and festival, visit the LAUNCH website and keep an eye out around the city for paper copies of the Official Guide to LAUNCH 2012! Upon first mention, some music fans may not be entirely familiar with the alternative rock jam band Rusted Root. But chances are if you've ever seen the movies "Matilda" or "Ice Age," you'll realize you've heard the Pittsburgh band before. Most famous for their hit "Send Me on My Way," Rusted Root has been around for more than 20 years and produced five studio albums, along with one live album and three EPs. With the help of college radio and word-of-mouth about their live shows, the band's 1994 sophomore album "When I Woke" earned the band national exposure. Two years later, their 1996 album "Remember" reached the Top 40 in its first week of release. In 2009, they released their first studio album in seven years, titled "Stereo Rodeo." Since then they've been playing all over the country, and are currently on their spring tour. The six-piece band will be making a stop here in Lancaster as one of the headlining acts at the Launch Music Conference & Festival on Thursday, April 26th. Prior to their show, local band Slimfit will take the stage in the Lancaster County Convention Center at 7:30 pm. Rusted Root's set will start at 9 pm. The show is free for VIP LAUNCH Badge holders and $10 with a regular LAUNCH Badge or Weekend Wristband. For those looking to attend only the Rusted Root concert, tickets are $18 in advance and $22 on the day of the show. Because LAUNCH 2012 is both a music conference and a festival, there are a variety of ways in which the public can attend. Those interested in attending both the conference and festival will need to register for the conference. 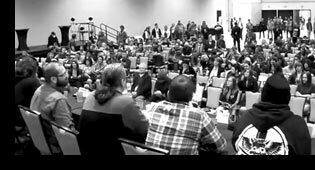 • Access to all conference panels and seminars. • Access to conference attendee party (including free beer and pizza). • Free entry to standard festival showcases. • Discounted entry to plus5 and plus10 showcases. • A LAUNCH 2012 T-shirt, double CD compilation and attendee bag. • Free entry to all plus5 and plus10. • Access to VIP areas at select venues with snacks and beverages. • The ability to "cut" the line at the conference attendee party. • An additional VIP bag filled with more offers and merchandise. If you're just interested in attending the festival showcases and not the conference events, you can purchase wristbands for Friday and Saturday individually, or for the entire weekend. Friday Night Wristbands ($15) and Saturday Night Wristbands ($15) are good for admission into most showcases on their designated night, while Weekend Wristbands ($25) are good for admission into most showcases on both nights. Those with wristbands will also receive discounted entry into plus5 and plus10 showcases. If you're just interested in specific shows, individual tickets are available for headlining shows. For other showcases, admission will be charged at the door of the venues. Prices are listed on the schedule. Badges, wristbands and individual tickets can be purchased here.